British soul favourites the Driza Bone Soul Family returned to London for a one-off gig, and we were there to find some ‘Real Love’. 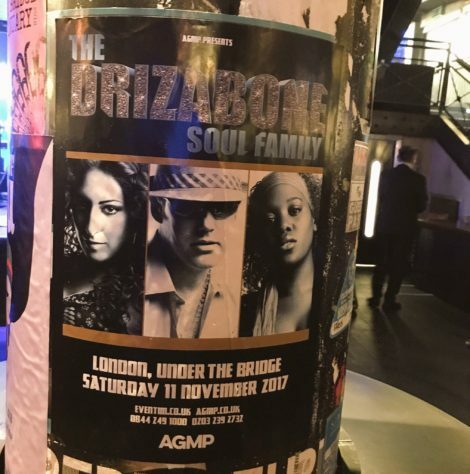 Driza Bone Soul Family live in London. Driza Bone were one of the leading lights in nineties British soul music. Formed by Vincent Garcia and Billy Freeman, the group hit the UK singles chart in 1991 with their classic ‘Real Love‘, peaking at a very respectible number 16. The duo scored another hit that year with a remix of Shanice’s ‘I Love Your Smile‘: the original song (on Motown Records, no less) stalled on both sides of the Atlantic, but with a bit of Driza Bone magic the song reached Number 2 on the UK singles chart and on the US Billboard charts. Their talents caught the eye of labels and artists elsewhere, and they ended up remixing tracks by Lisa Stansfield, Barry White, Diana Ross and others. Then in 1994 they released their excellent album Conspiracy, which not only featured ‘Real Love’ but other minor hits ‘Pressure’ and ‘Last Time’. Then, somewhere in the middle of their success, Vincent and Billy fell out and both went their seperate ways. Then about 8 years ago or so, Billy formed the Driza Soul Family – a new incarnation carrying on the Driza Bone legacy. The new outfit released the excellent album All The Way, which featured a whole mix of retro-soul grooves, dance tunes and even the occasional moment of jazz-funk. Their next album, The Recipe of Life, was equally great (particularly the neo-disco banger ‘New York City Lights’). The last time I saw the group performed they were opening-up for Chic featuring Nile Rodgers in 2013 at the Indigo2, back when Rodgers still performed smaller venues. The group was impressive then, performing for around an hour before Chic took to the stage. Tonight, however, the Drizabone Soul Family were the main attraction, performing a rare one off gig at Under The Bridge in Chelsea, one of the great small venues in the capitol. Support was provided by a group called The Niteshifters, a neo-disco outfit from London who were impressive with their slick, funky grooves invoking the spirit of New York seventies disco. Ten minutes later the Driza Bone Soul Family took to the stage, with Freeman, in matching hat and tank-top, acting as host as well as playing percussion and keys. The band opened into a tight groove, before Freeman introduced the singers and the group launched into their best known song, ‘Real Love’. The band hit the groove instantly, anchored superbly by Stuart on the drums, Trevor on guitar (whose fierce solos were delightful) and by Alvin on bass. Alvin, it was revealed later on in the set, was new to the group and this marked his first performance with the Soul Family, yet to anyone watching it looked like he’d been part of the group for years. His sense of dress was superb, and his bass playing was even better. Dries Bone live on stage at London’s Under The Brigde. Freeman was also breaking in another member to the Soul Family, the utterly fantastic Noreen Stewart on vocals. Like Alvin, this was her first performance with the group, but from her incredible performance you would easily conclude she’d been performing these songs for years. 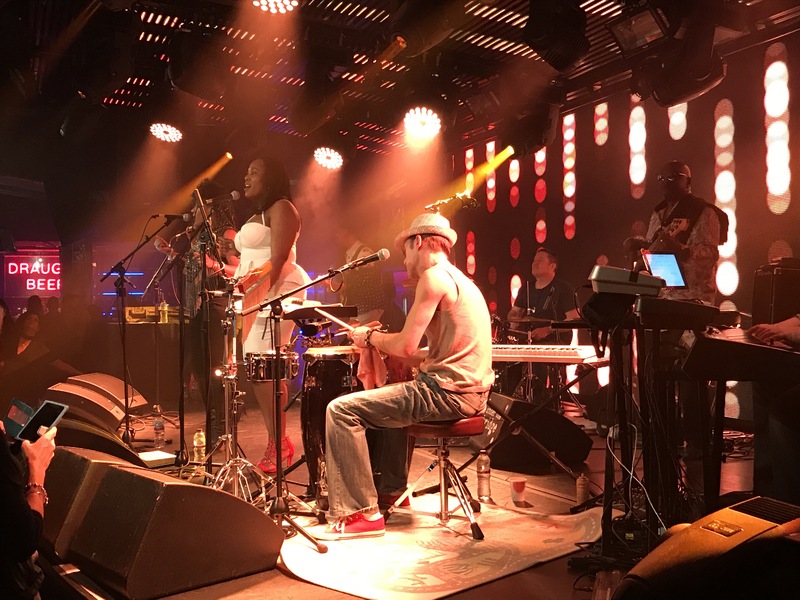 She has previously performed with the likes of Jocelyn Brown and Alexander O’Neal, but as demonstrated on Saturday night, she was equally comfortable front and centre; indeed, she commanded the stage with ease. Her voice, a mix betwen Gladys Knight and Jennifer Holiday, was seriously impressive – and she handled a range of songs superbly, even covering Shanice’s ‘I Love Your Smile‘ with style and sass. The two other singers, Anneka Johnson and Nataya, were equally superb and were each given their own opportunity to sing lead. Nataya – dubbed by Billy as “the mother hen” of the singers – has been with the Soul Family since the new incarnation was launched. She possesses a strong yet sultry voice, demonstrated best on a funky version of ‘The Pressure‘. The group were impressive throughout their 90 minutes on stage, with particular highlights including ‘Brightest Star‘ (from The Recipe of Life album), ‘Last Time‘ (from Conspiracy) and, our favourite, the crowd-pleasing ‘New York City Lights‘ (also from The Recipe of Life). About halfway through the set Freeman noted that in rehearsal the band would perform songs by other artists, and with that the Soul Family launched into a blistering version of Gwen McCrae’s ‘All This Love That I’m Giving‘. Newbie Noreen was given the challenge to provide the lead vocals, and she did not disappoint – the band’s newest member let rip, and put in an amazing performance making it one of the highlights of the set. Freeman, sat behind a multitude of percussive instruments, was clearly enjoying the band’s groove, but was full of self-deprecating humour on Saturday night, offering his musicians and singers such heartfelt praise as “not bad” and “I liked that”. From the reaction of the crowd however, it was clear that the Soul Family were more than just okay. In fact, as DJ Aadil Rasheed noted in his warm up set, there was an impressive number of people attending the gig who had travelled some serious distance to see the group in person – someone even claimed to have flown in from Sweden! Despite the tongue-in-cheek humour, Freeman was appreciative of his audience. For him, “this is just us, nothing special, just a soul band from Northampton”, but after all, how many soul bands from anywhere have remixed Diana Ross? As the 11PM curfew reached, Freeman ordered the band into another rendition of ‘Real Love’, leading the audience to cheer for more. The band were allowed one more song, but had reached the end of their rehearsed material, so instead launched into another excellent version of ‘New York City Nights’. And with that the night was over. Freeman and his unique blend of Nottingham groove had impressed yet again, showcasing himself and his excellent ensemble as pioneers of British soul.